A DYRBERG/KERN classic! 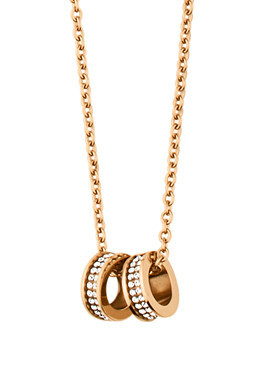 The FERMI necklace is both cool and elegant with two rings elegantly decorated with a Swarovski crystal banding. 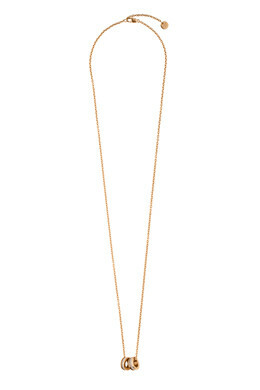 The chain is 90 cm, and is shown here in rose gold toned finish with clear crystals.